1) All payments made need to be accompanied by proof of payment (i.e. bank-in slip/copy of payment receipt) and email to the customer support at booking@golfreserv.com. 5) The details itinerary would be informed to the interested participant only. 7) RM200 discount is only applicable for the first 5 customers only. 8) The event will be conducted according to the Rules of Golf as laid down by the R & A and the local participating club rules. 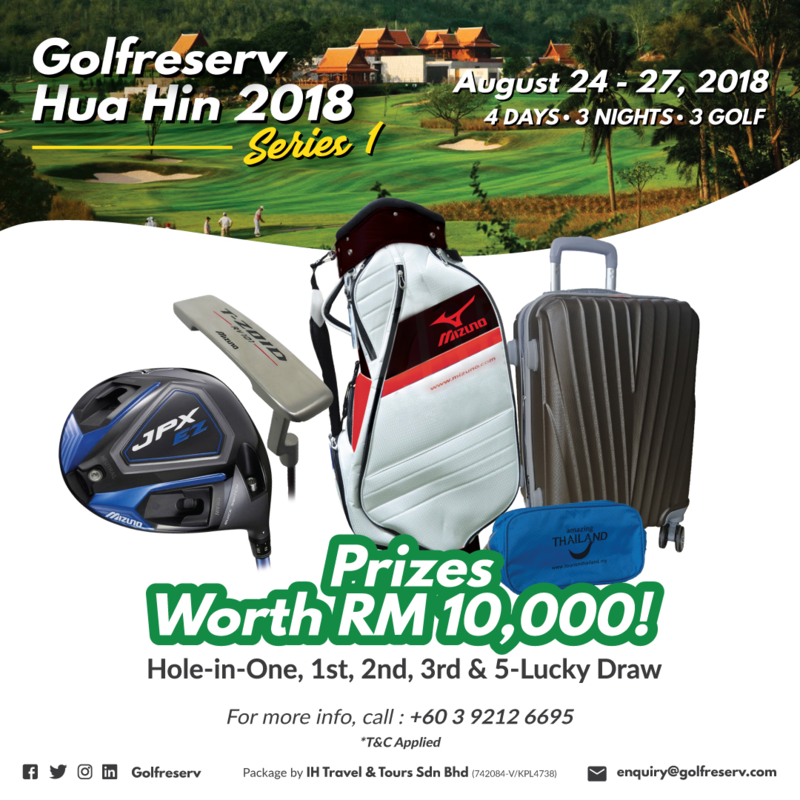 10) Golfreserv Travel Sdn Bhd holds the rights to change the itinerary which will be finally announced to the participants. 11) The decision of Golfreserv with the cooperation of Golf Course (Black Mountain Golf Club, Banyan Golf Club, Springfield Golf Resort & Country Club) of deducing the winners at the end of the Series 1/Series 2/Series 3 will be final. Bridgestone ASEAN Amateur Open has been commenced on 4th of April 2018. With much galore and excitement, golfers have participated in the events which were held on assorted courses. From more than 1300 players to venue arrangements, the Bridgestone event in April has experienced lush excitement from the troupe of golfers. The brand – Bridgestone, is striving to reach to the hearts of more golfers and standing from the rest of the brands. In this humdrum, Golfreserv is bringing you some important and interesting facts about the upcoming venues (of July) so that you can prepare yourself with better training and skills. Call Us (+60 3-9212 6695) & do the direct booking. 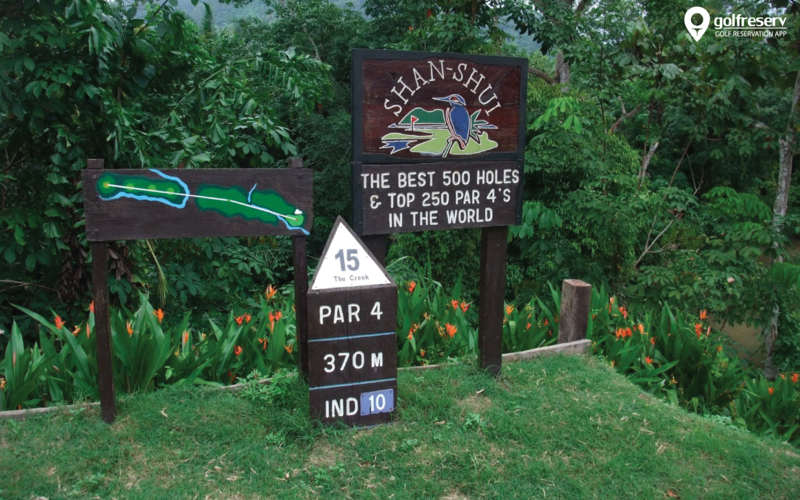 Shan Shui Golf & Country Club is one of the choicest clubs, nestling amidst of breathtaking mountainous visage of Tawau's verdant land. It is situated 15 kilometres from the Tawau town. The country club is an award-winning 18-hole championship golf course which has been designed by Nelson & Haworth. Enjoy the finest creation of the architect in Asia! Launched in 1998, the 15th hole, ‘The Creek’ was named under the list of Best 500 Holes and Top 250 par 4s in the world by US Golf Magazine. If you are a nature lover and adventurous golfer, you must not miss playing in Shan Shui Golf & Country Club. The place also serves a natural habitat for many exotic wildlife tiers. From A-class driving range to practice greens, the course proffers many excellent facilities as well such as pro-shop, swimming pool, jacuzzi and sauna, cosy wooden chalet accommodations and Bridgestone ticket for 2018. 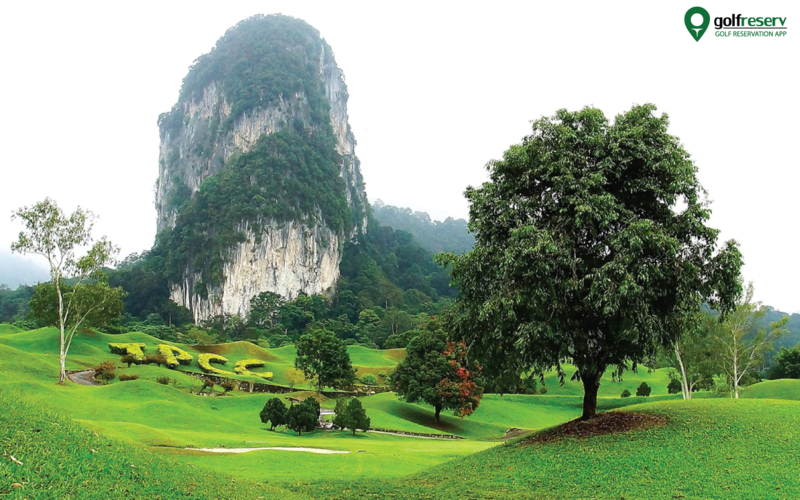 One of the most prestigious golf courses in Malaysia, Templer Park Country Club gives place to the mightiest Bukit Takun limestone hills that spiffs up the look and mood of the golfers. The Bridgestone tournament golfers will be welcomed with the mighty view of Bukit Takun hills and after that, with the thin veils of mist that can be observed even in a sunny day. 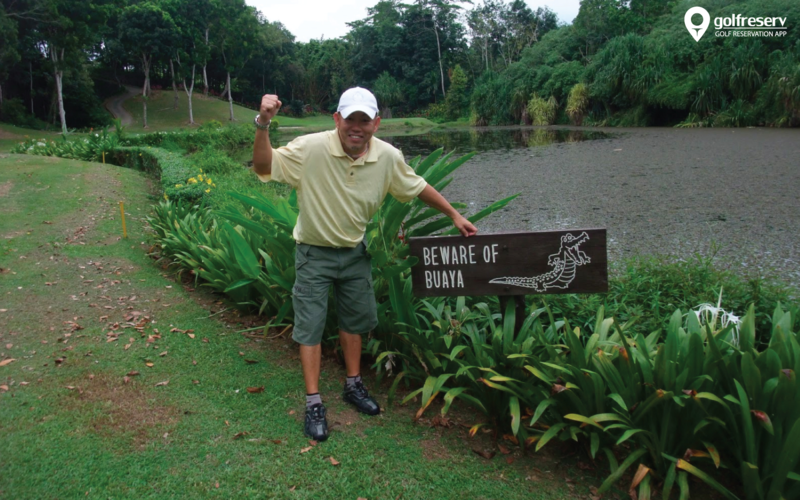 Do you know that Templer Park Country Club is based in a former mining wasteland which includes a beautiful blend of flat and undulating terrain? Yes, this 18-holes course has an amazing layout of sand traps meander, fantastic giant lakes, and fairly grown Satiti greens. All these factors vehemently push your putting abilities to the par with their subtle breaks and true rolls. Formerly known as Kelab Golf Sultan Abdul Aziz Shah and now, Sultan Abdul Aziz Shah Golf & Country Club lies at the heart of Selangor. The hilly valley of the Klang river with a view of Shah Alam, SAASGC was founded in 1994. This year the Bridgestone organisers in Malaysia, Prestige Golf is expecting a huge rush at the venues. It is very easy to reach at Sultan Abdul Aziz Shah Golf & Country Club from Kuala Lumpur which is almost half an hour away. This 18-holes country club consists of three floodlit 9-hole loops, parkland courses with par 36. 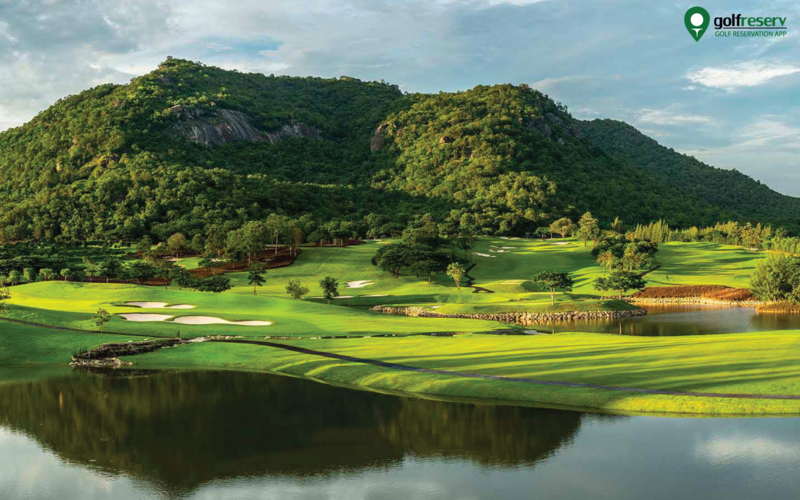 Strategically designed by architect Peter Thompson, two courses are joined to play golf - The Sultan Course with 3,230 meters and the 3,195-meter-long Alam Shah Course. Get ready to spot several streams and ponds as water hazards to pull up your putting skills. Stop at the 2nd hole, the signature hole or the Dragon Hole is featured with the notorious elevated tee, across a wide brook to reach the elevated green surrounded by bunkers. 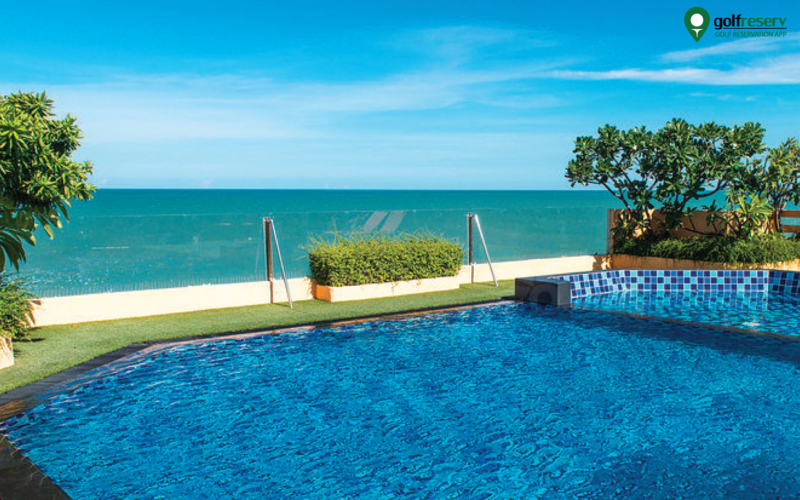 A great treat and attraction to the Singaporeans, IOI Palm Villa embraces some of the best views in Malaysia. Designed by Rick Robbins, this 4 star Club brags 27 holes and resort type structure. If you are confused between the Challenge mode & Leisure mode, with IOI Palm Villa Golf & Country Club, you can enjoy both. Spiff up your golf skills in this one of the top-most golf courses, IOI Palm Villa Golf & Country Club in Johor. Expecting much success with IOI Palm Villa Golf & Country Club, Bridgestone tournament is bringing an opportunity to the golfers to play at such a prestigious 3 nine golf courses – The Palm, The Putra and IOI. 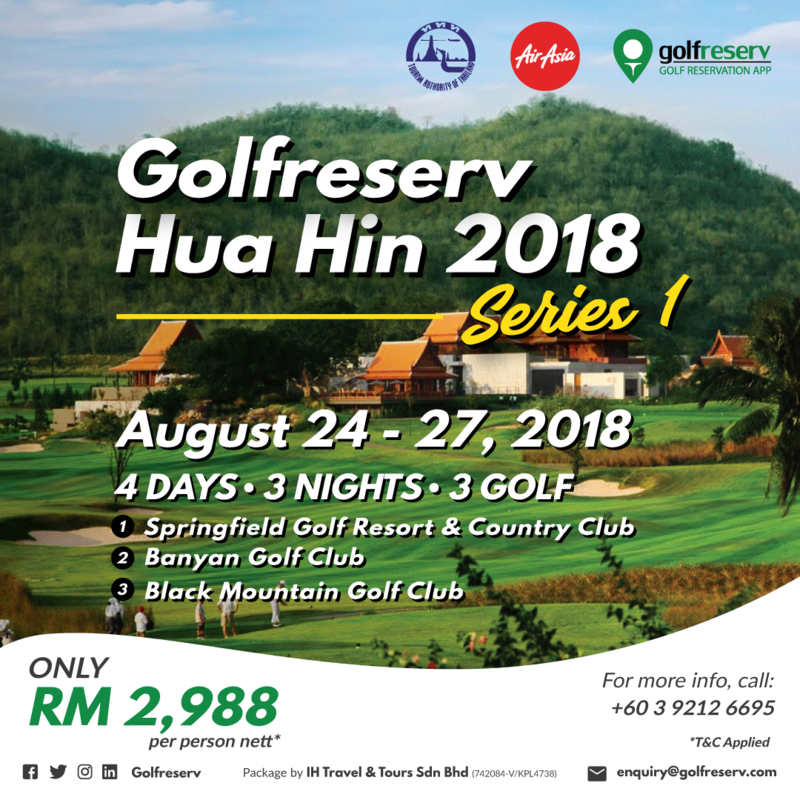 As one of the premier amateur tournaments, the high difficulty pattern of this course will serve the right plate to the organisers and golfers’ golfing spirit. Not only Malaysians but it is a favourite golf course among the Singaporeans due to the convenience of travel and expectations.